When the U.S. inaugurates its new embassy in Jerusalem today, we Israelis will rejoice — loudly, proudly and justly. Miriam Adelson, a Las Vegas philanthropist, researcher, physician and expert in drug addiction, owns the Las Vegas Review-Journal and Israel Hayom newspapers with her husband, Sheldon Adelson. It will be a national milestone, a turning point. It will be a cause for celebration on a par with Israel’s Declaration of Independence in 1948 and its victory over three enemy armies, and the expeditionary forces assisting them, in the Six-Day War of 1967. We will be like the dreamers of Psalms, our mouths filled with laughter and our tongues with joy, at this honor for Israel’s ancient, beloved, undivided and eternal capital: Jerusalem, the focus of our thrice-daily prayers for 3,000 years. Americans should be just as thrilled. I can say this with full confidence because I am not only a native-born Israeli: I am also a naturalized U.S. citizen who cares deeply about American interests. The embassy opening is a crowning moment for U.S. foreign policy and for our president, Donald Trump. Just over a year into his first term, he has re-enshrined the United States as the standard-bearer of moral clarity and courage in a world that too often feels adrift. Exactly 70 years ago, as the harrows of World War II were still ebbing, another great president, Harry Truman, asserted U.S. leadership by recognizing the fledgling State of Israel. Trump is the Truman of our time. He knew that Americans, first and foremost, would benefit from his recognition of Jerusalem as Israel’s capital, as would peace-loving people everywhere. And he took action on Jerusalem, just as he did in nobly quitting the vile Iranian nuclear deal last week, and just as he is doing right now, with tough diplomacy on North Korea. The United States is an incomparable force for good and stability, possessed of an international clout that derives from its credibility. That credibility had been called into question by previous presidents who failed to follow through on their promises to recognize Jerusalem as Israel’s capital, and to implement the Jerusalem Embassy Act that Congress passed by a sweeping 1995 vote. Where his predecessors failed and faltered, President Trump has fixed. No one will ever again doubt that he is determined to champion — and is already championing — what is best for the United States. Brushing off the alarmists, the naysayers and the appeasers, President Trump is behaving exactly as he should – as the chief executive of the world’s superpower. This is excellent news for America on all foreign fronts. It will certainly help with the Palestinians, who have protested shrilly against our president’s bold Jerusalem move. What they will soon realize is that President Trump has, in fact, offered them a diplomatic lifeline. For too long, the Palestinians stymied peace with Israel by insisting on the lie that Jerusalem was theirs. The pragmatists among them understood that this was a non-starter — that Israelis would never give up on the city promised to them in the Bible, millennia before the advent of Islam, and which has been a model of religious and ethnic coexistence only under Israel’s sovereignty. By removing any question about U.S. recognition of Jerusalem as Israel’s capital, President Trump has freed up these pragmatists to think anew and craft a workable accommodation with their Israeli neighbors. The greatness of the United States stems from the fact that it leads by example and encourages others to follow suit. Those that do, become its friends, and, as our president has often stated, America has no greater friend than Israel. President Trump’s policy shift on Jerusalem was simple reciprocity: Friends stand up for each other. It is a pure and powerful message that will bring the world closer in friendship to the United States and to its eternal values of liberty, truth and loyalty. I am euphoric today — as an Israeli, as an American, as a human being who wants a better world. I feel privileged to be a witness to the bold leadership evinced by President Trump. Thank you, Mr. President. You have done the right thing. You have worked miracles. 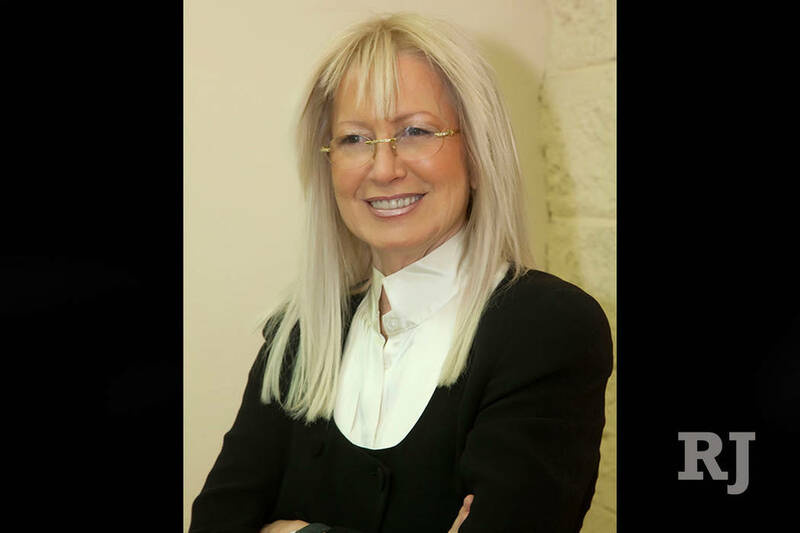 Dr. Miriam Adelson is a specialist in chemical dependency and drug addiction, and a philanthropist. With her husband, Sheldon Adelson, she is the owner of the Las Vegas Review-Journal and Israel Hayom newspapers. This article was simultaneously published in both.